VideoPane is a tweak that enables you to multitask and put videos afloat anywhere on the screen. The tweak gained much appreciation when Apple decided to adopt the feature in its forthcoming iOS 9 as the muched hyped Picture in Picture functionality. VideoPane’s ability to detach and drag videos out of native video player app allows users to multitask with ease. Recently, VideoPane was updated to version 2.0 that brings with it some pretty useful and handy features. The tweak now supports additional iOS 8 apps including ones with DRM protected content. The tweak now also features the ability to customize buttons on the detached video according to a user’s preferences. Above all, the tweak has been redesigned which brings a much more cleaner look and feel to the fore. VideoPane seems to be more fluid than its previous iterations. The transitions are fluid and smooth. 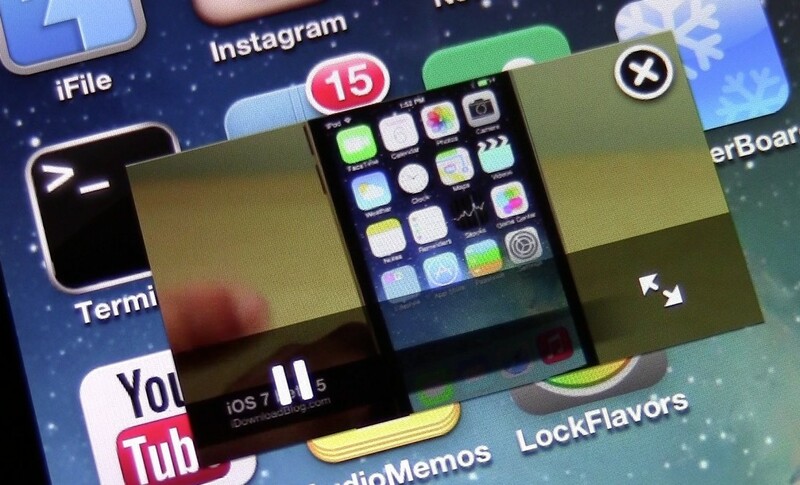 In the previous version of VideoPane, the video started buffering from the start when the tweak was activated. Now, when the video is detached, it continues to play from where it is left off. This is an overall improvement which is highly appreciated in the updated version. The VideoPane 2.0 update is available to download directly from Cydia, however it’s flagged as a beta release for now. But if you proceed further and want to give the tweak a shot, you will see that VideoPane has a lot of improvements over the previous versions. Altogether, the tweak is way more stable and worth using with new buttons to stretch video to the full-screen mode. Moreover, the video’s native app gets minimized automatically when the video is detached from the app. Comparatively, VideoPane’s updated version is way more stable than the previous ones. It boasts more functionality and fluid, consistent animations providing users with a much greater experience. The update is completely free If you are an existing user of VideoPane. However, for those who want to try this tweak, it costs a mere $1.99. Do give this tweak a shot and let us know about your experience in the comments.